Devon Meadows and Emerald played out an absolute barnstormer at Glover Reserve. After posting a total of 6/239 on day one, the second-placed Panthers gave their bowlers a strong buffer to work with, but the Bomber batsmen had other ideas. Strong partnerships throughout the innings, led by great knocks from Michael Nell (88) and Dave McDonald (42), had the Bombers at 6/203, needing 37 runs to claim a win. In a thrilling finish, with Sam Hurdiss (4/57) and Henry Dolphin (4/63) leading the attack, the Panthers struck to see the Bombers standing at 9/238, needing two runs off the final delivery of the day to win. Dolphin steamed in to Hunter Wardale (16) and with the crowd on their edge of their seats, Wardale was caught by Panthers skipper Mick Floyd in extraordinary scenes to see Devon Meadows claim a nail-biting one-run win. Officer remains on top of the ladder, courtesy of a convincing win over Aura Vale. After dismissing the Lakers for just 98 runs, the Bullants began day two at 3/86 with Sean Marum (24 not out) and Darren Kneebone (19 not out) at the crease. The pair were simply irresistible on day two, putting on a 170-run stand as Marum (103) belted 16 fours and four sixes, while Kneebone (58) smashed 10 fours. It was a ruthless partnership, one that helped the Bullants (5/218) declare early and chase an outright win. In reply, the Lakers – thanks to Ransi De Silva (30) and Chris Mahony (29) – did enough to avoid the outright loss, as they totalled 4/100. Daniel Irvine (3/13) was dangerous early, but his side had to settle for a first innings win. Catani successfully defended its total of 207 against Tooradin. The Seagulls were standing at 1/2 entering day two, but a fine 58-run partnership between Owen Johnstone (45) and Tim Huguenin (23) steadied the innings. Unfortunately for Tooradin, there just wasn’t enough batting firepower as Danny Brewster (4/25) tore through their line-up to help dismiss the Seagulls for 126. Carlisle Park chased down the required runs against Cranbourne Meadows, claiming an important win in the context of their season. The Rebels were dismissed for 129 on day one, and the Vikings got solid contributions from Iqbal Soi (47), Garry Godfrey (41) and Martin Davies (25 not out) to cruise to an easy win with a total of 7/163. Tom Smith (4/50) and Shaun Matthews (3/30) bowled well for the Rebels. In a low-scoring affair, Clyde defended its total of 154 against Upper Beaconsfield. The Cougars bowlers had the Maroons struggling to maintain partnerships as Stuart Williams (5/43) and Nicholas Miles (4/59) ripped through their batting line-up. Despite the best efforts of Adam Lawrence (43), Upper Beaconsfield was dismissed for 129. Pakenham Upper/Toomuc was a class above Cardinia. After posting a total of 6/241 on day one, the Yabbies got straight to work on day two as four batsmen took multiple wickets to dismiss the Bulls for just 88 runs. Cardinia lost its final five wickets for just four runs. Cranbourne Meadows chased down the required runs against Officer. After restricting the Bullants to a total of 126, the Rebels got home for the loss of four wickets, led by Masroor Ahmed (37) and Corey Miller (29 not out). The game between Pakenham and Nar Nar Goon/Maryknoll ended in a draw when play failed to get underway on day two due to rain. Nar Nar Goon/Maryknoll resumed play on day two of their clash against Carlisle Park at 3/48, chasing a total of 130 and got the job done. The Marygoons didn’t have it all their own way as the Vikings fought hard, but Matt Patten (48 not out) stood tall to drive Nar Nar Goon/Maryknoll home with a total of 154. Rupinderjeet Brar (4/54) and Harinderjit Brar (3/53) did all they could for Carlisle Park. After Kooweerup (325) dominated day one of their clash against Merinda Park, the game resulted in a draw due to rain on day two. The clash between Emerald (152) and Pakenham (2/25) also ended in a draw, with play failing to get underway on day two. Despite play not getting underway on day two in the clash between Lang Lang and the Victorian Vikings, the Vikings came away with the win after a dominant day one. The Vikings dismissed the Tigers for just 91 runs and piled on 3/115 in reply on day one – seeing them claim a win. Officer almost claimed an outright win over Nyora, but had to settle for the 12 points. 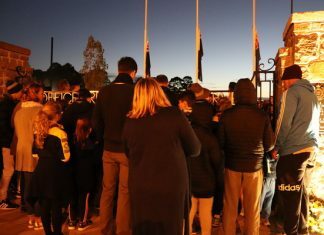 The Bullants were on fire on day one, posting a declared total of 3/233 and having the Maroons in the precarious situation of entering day two at 3/25. With Lachlan James (3/35) leading Officer’s attack, they dismissed Nyora for just 108 and enforced the follow on. The Maroons struggled early once again and sat at 3/14, but they steadied the ship to avoid an outright defeat by posting a total of 7/172, thanks largely to Keith Maclure (53 not out) who occupied the crease for a considerable number of overs. Lachlan James (3/33) took his total figures to 6/68 for the game in a great display. Cranbourne Meadows came away with the win over Tooradin. Chasing the Rebels’ total of 279, the Seagulls got off to a great start as Kaine Bundy (64) smashed his way to a half century courtesy of 8 fours and 3 sixes. After Bundy fell, Troy Brown (79) took over, but the Seagull batsmen just couldn’t stay at the crease as David Waller (4/38) and Geoff Bradshaw (3/51) kept the pressure on all day. Eventually, Tooradin was dismissed for 224. 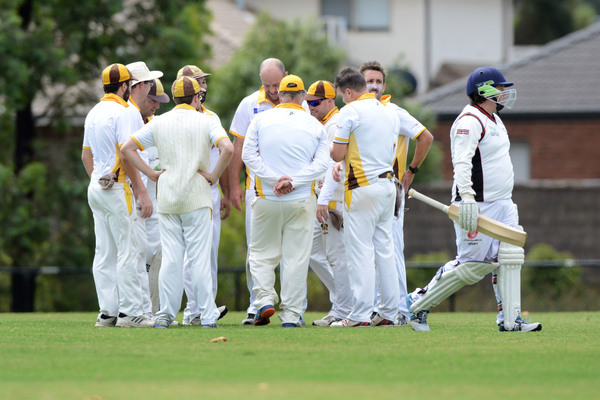 Merinda Park didn’t have the chance to defend its massive total of 300 against Pakenham Upper/Toomuc as rain halted all play on day two to see the game end in a draw. Clyde was also robbed of a chance to defend a massive total. After piling on 335 runs against Devon Meadows, the Cougars had to settle for a draw due to rain washing out day two. Clyde took care of Cardinia as the Cougars chased down the Bulls total of 112. After starting day two at 2/29, Clyde – led by skipper Ben Cooper (35) – posted a total of 6/119. Ray Perkins (3/44) bowled well for the Bulls. Catani dominated day one of their clash against Devon Meadows and that trend continued on day two. Chasing a total of 274, the Panthers were led by opener Mick Hawkins (69), but his teammates were unable to support him and thus, Devon Meadows was dismissed for 147. It was an impressive bowling display from the Cats, with four bowlers taking multiple wickets. 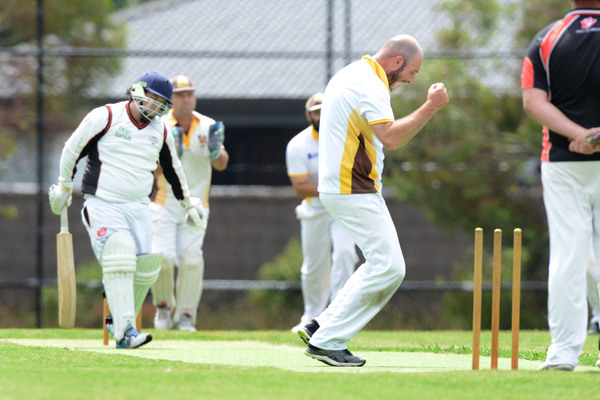 Pakenham went for the outright win over Cranbourne Meadows, but had to settle for the 12 points as the Rebels staved off the Lions in their second innings. After dismissing the Rebels for 99, the Lions resumed day two at 1/112 and declared at 6/204 after fine knocks from Adam Alberni (49), Paul Hart (44) and Hiren Patel (30). Kieran Amey (4/62) was the only Rebel bowler to make inroads. Sent into bat again, Cranbourne Meadows got off to an awful start when Zac Downes (1/6) struck early to have the Rebels at 1/1. Cranbourne Meadows somewhat steadied and after 37 overs, stood at 5/54 to avoid an outright loss. Merinda Park had the bye.